Harm reduction at face value seems to make sense. After all, common sense tells us that better is better. Providing a path for heavy substance users that “reduces harm” is logical on its face. 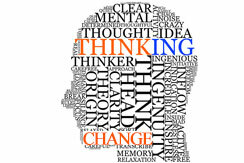 Needle exchanges to avoid disease, Narcan to keep addicts alive, and methods that provide factual information that show people a path out of the treatment and recovery trap; these are all good things that have a positive impact on those who choose heavy use and desire to do so in as safe a manner as possible. 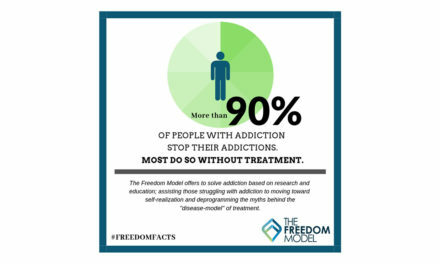 In this way, even The Freedom Model for Addictions text can be seen as a harm reduction tool – it provides a path to new options. Where harm reduction takes an unfortunate turn away from this mission is in its promotion of medication assisted treatment (MAT) as a long term treatment method to reduce harm. 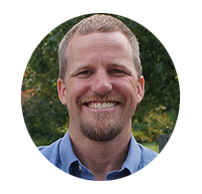 In reality, this method reinforces addiction disease mythology and creates a new long-term dependency that is unnecessary and potentially more harmful. First off, let me say that I am not opposed to MAT as long as the person using it is provided all of the facts including its limitations and potential downsides. If you go down the MAT highway blindly thinking it’s a panacea that will stop all of your cravings, you will be deeply disappointed. The idea that drugs like methadone, buprenorphine and naltrexone can stop cravings was created and is being sold by pharmaceutical corporations that are making billions off desperate vulnerable people seeking a solution. What you need to know is that cravings don’t occur in the body (where MAT does its thing), they occur in the mind of the individual (a place no medication can penetrate). No drug has the power to change the content of your thoughts, and a craving is a thought that getting high would feel good right now. It’s a desire to get high based on the belief that you can feel better or happier using a substance than not using it. While MAT drugs can reduce or eliminate withdrawal symptoms when used in a taper for detox purposes, use as a long term replacement drug has not been shown to be more effective than doing nothing. Thousands of heroin users who now live on MAT therapies feel as if they have found a solution to avoid the painful withdrawal from heroin, but sadly they quickly learn that they have traded one trap of withdrawal (i.e. heroin) for another (i.e. Suboxone or Methadone) which actually has more severe withdrawal symptoms than heroin. Sure, you might not be getting as high, and you have staved off withdrawal for now, but whether your drug dealer is on the street or in an office, you are still beholden to getting that drug until you are ready to stop and move on like everyone else who paid the price of going through temporary withdrawal. For those who still want to get high while taking MAT, using MAT while in this mental state will be a constant source of feeling deprived of what you want – which is to be higher. In other words, MAT, like any other pharmacological “solution” to addiction is only as effective as you decide it will be. In the end, the only real solution to heavy use is asking yourself whether you still want to get drunk and high, or not. Eventually most people do make the decision to stop using, and thankfully most people are successful making the change. When you decide that you no longer want to get high and want to abstain, you can go through the week of detox either at a facility or on your own, and move on without the encumbrances of MAT. This is what more than 90% of opioid users have traditionally done – they evaluate their use, the futility or utility of that use, and then they stop or moderate and move on. Some harms may be reduced if you choose MAT. You can avoid some tough spots of withdrawal, and be better able to make it to a job or other commitments. The chance of overdose risk, which is already very small, may be reduced by the opioid tolerance you maintain on MAT. However, as you put all your faith in MAT and never sort out your attachment to drugs, you might continue wanting (craving, desiring, etc) drugs. Your experience with MAT will likely be an exercise in futility, and eventually, like so many others, you will vacillate between spells of taking MAT and taking your drug of choice. In this way, MAT may bring more harm into your life. By keeping your attachment to opioids alive longer, you are now exposed to all of the risks of opioid use for a longer period of time. If for example you would’ve gotten over your opioid addiction in 5 years without MAT, but your faith in MAT as the only solution keeps you craving and periodically bingeing on opioids for 10 years, what has it gotten you? Absolutely nothing. If you cut your monthly opioid use in half during that time, you’re still exposed to exactly the same risks and costs as if you hadn’t taken it at all. And now, you’re struggling for 5 years longer, a definite loss. Even if overdose risk is cut by half, you’re now exposed to that risk for twice as many years – a total wash. This is the tradeoff that none of the pro-MAT crowd wants to consider. Although abstinent outcomes are rarely measured, when they are, MAT doesn’t seem to get people over their opioid problems at any higher or quicker rate than they would without MAT. General population surveys have shown that 50% of opioid “addicts” get over their problem in 5 years or less (Blanco et al., 2013). But when looking only at MAT patients, about 15% achieve some sustained abstinence in 6 month trials. A 6 year long study found that less than 10% achieved stable abstinence by the end (Soyka et al., 2017). Moreover, a large portion of them cycled on and off MAT several times over the 6 years. We must assume they developed problematic habits again during those in-between periods, or they wouldn’t have resumed MAT. This is a highly dangerous pattern that cannot be considered a reduction in harm by any measure. Simply put, MAT cannot save someone from themselves and what they mentally desire to do; it cannot change their preferences and the content of their thoughts. In addition it reinforces the idea that the individual is diseased and therefore powerless to change. With all that said, the truth is most people in Western culture do not believe the “addict” or “alcoholic” can “just stop” or “moderate” without an aid or support structure of some kind – hence the current push and insistence that everyone with a drug problem be put on MAT. Here is the important point to be made, it is now clear that harm reduction proponents do not really believe that any “drug addict” or “alcoholic” can stop without a crutch either, and so they naturally became an ally to the pharmaceutical movement. As I know many smart people that I respect working in harm reduction, I will allow for the real possibility that they have done this without fully understanding the massive ramifications of such an alliance. So the question becomes, how did a movement like harm reduction, that made so much sense when it began, become so lost in its mission by jumping with both feet onto the MAT train? As I explored this question I found that the overall foundation of harm reduction allowed for its metamorphosis into the largest proponent of MAT in existence today. Underlying all of harm reduction is the implication that the best we can do for the “addict” or “alcoholic” is to reduce the harm the individual is doing to themselves. If the best the “addict” can do is to reduce some of the harm they are encountering, then that logically means there is some level of their use that they cannot stop on their own. This second part is never said explicitly and in most cases is ignored. Yet, harm reduction theory implies that the individual is stuck in a certain “powerlessness” and the best we can hope for is a reduction in their self-harm. This, my friends is the disease concept in new clothes. Being a proponent of MAT is also being a proponent of a medical solution to a mind-based issue of choice. It is wrongheaded and a distraction to the life saving facts at hand. Harm reduction and its current alliance with MAT, as a theory and as a method, is a horrendous bypass around the fact that ANYONE with a drinking or drug problem can stop or moderate successfully if provided the facts that they can do so. By blocking that truth with a stopgap measure like – “the best we can do is reduce harm, now give him his methadone” is the dark reality that harm reduction isn’t really about reducing harm anymore. 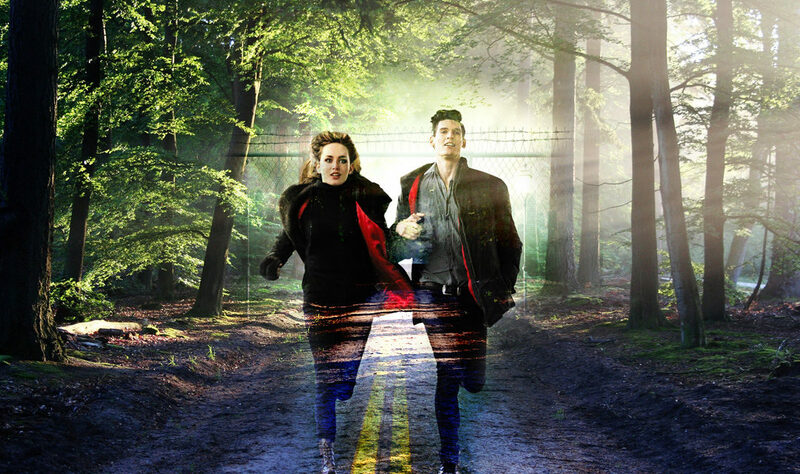 It has developed into just another trap in the overall treatment complex that prolongs someone’s use through a new dependence mythology, a new version of the same old tired disease rhetoric. Since when do we ignore the fact that anyone can stop or moderate heavy use, and that most do so successfully? 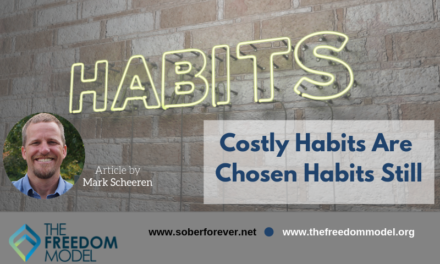 Isn’t that the greatest reduction in harm – to move past addiction and into a free state of mind knowing you are in full control of your substance use. All the best research – from the days before widespread MAT use – demonstrates that over 95% of opioid addicts will get over their problems, even though only a quarter of them receive treatment annually. Recovery rates have gone down since the adoption of MAT, and overdose deaths have skyrocketed. Where is the reduction of harm in that? Like many things in this world, the original intention of harm reduction made sense; it provided a variety of options for those who do not necessarily want to abstain from their substance use, but who are seeking a way to get drunk or high and reduce the risks and costs of use. While the use of Narcan to save people from overdose, and needle exchanges to help curb transmittable diseases are important parts of harm reduction that have real value, the addition of MAT has marred the original concept and taken it in the unintended direction of reinforcing the disease model. MAT – Medication Assisted “Treatment”? There is no need for MAT as a long term treatment if people are not powerless and not suffering from a progressive incurable brain disease. Long term MAT only becomes necessary if you believe that “addicts” cannot stop their substance use and stay stopped on their own, and the data overwhelmingly shows that they can. I do understand the goal of trying to reduce overdoses and deaths, but that will not be done by reinforcing the idea that people are powerless over what they ingest and must trade one illicit drug for a legal drug. In both cases the individual is still dependent and enslaved based on mythology. Without that belief system, we have seen that substance users stop or moderate on their own. In the absence of disease mythology, change comes easily and without fanfare. Are Most People with “Addictions” Mentally Ill?